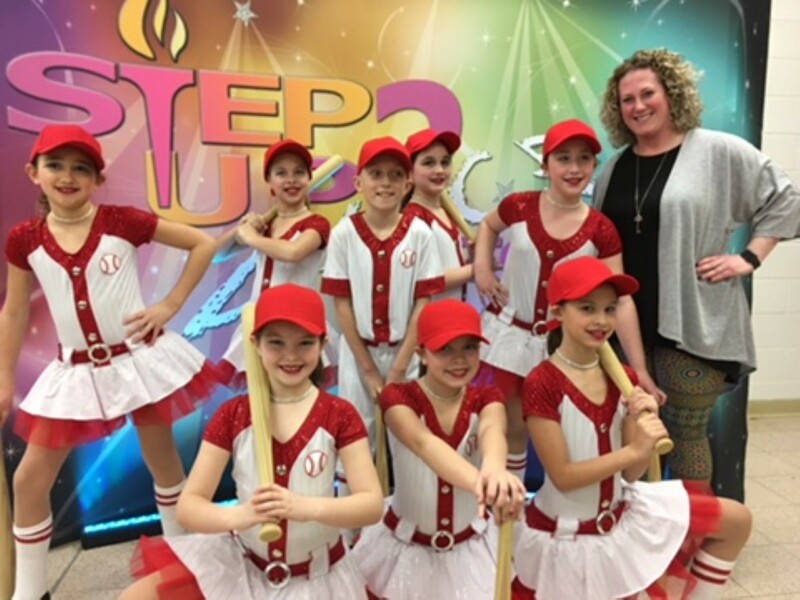 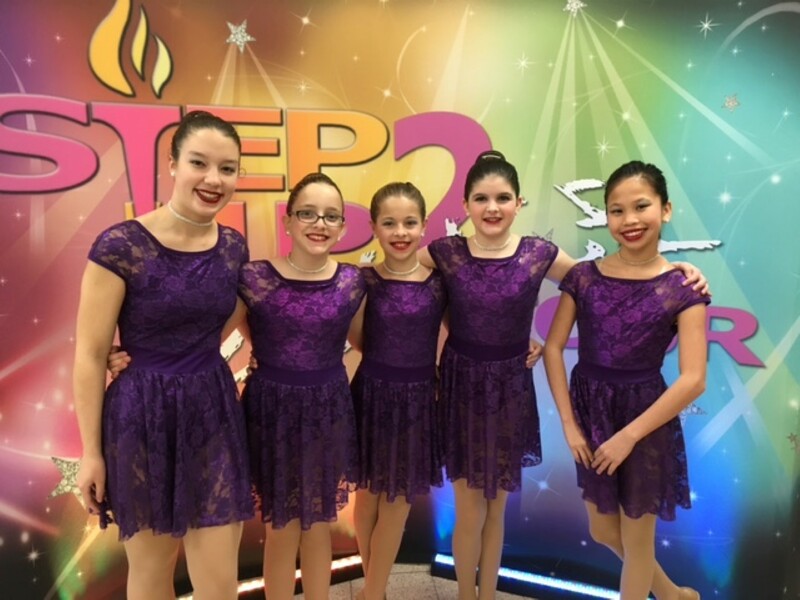 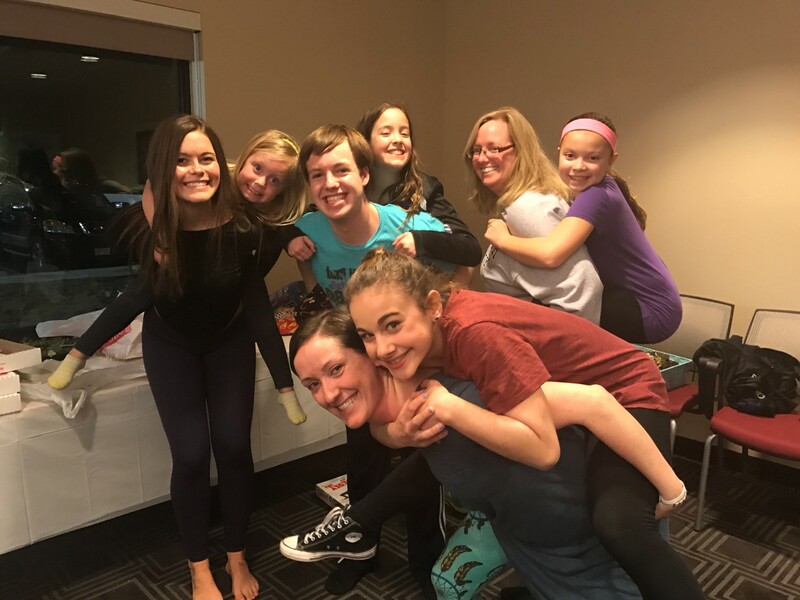 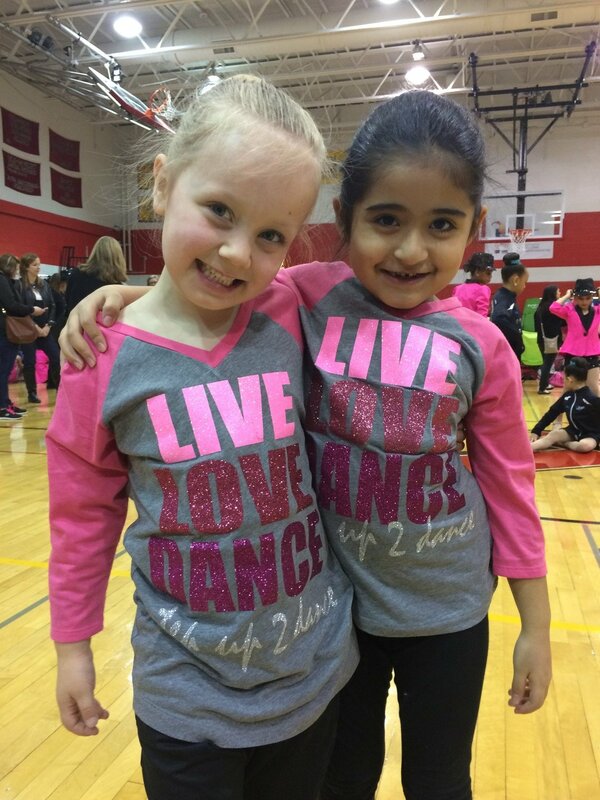 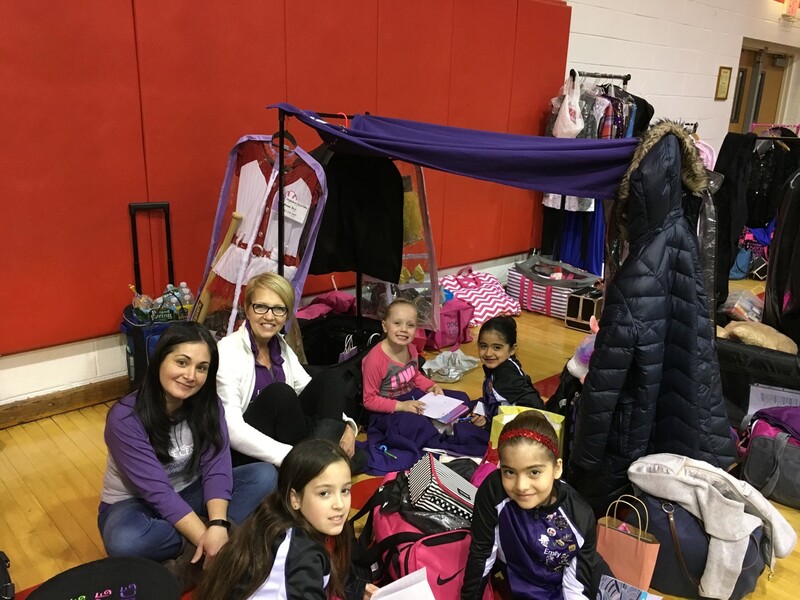 On Sunday, March 26th DDC’s Competition Team attended StepUp2Dance in Swedesboro, NJ. 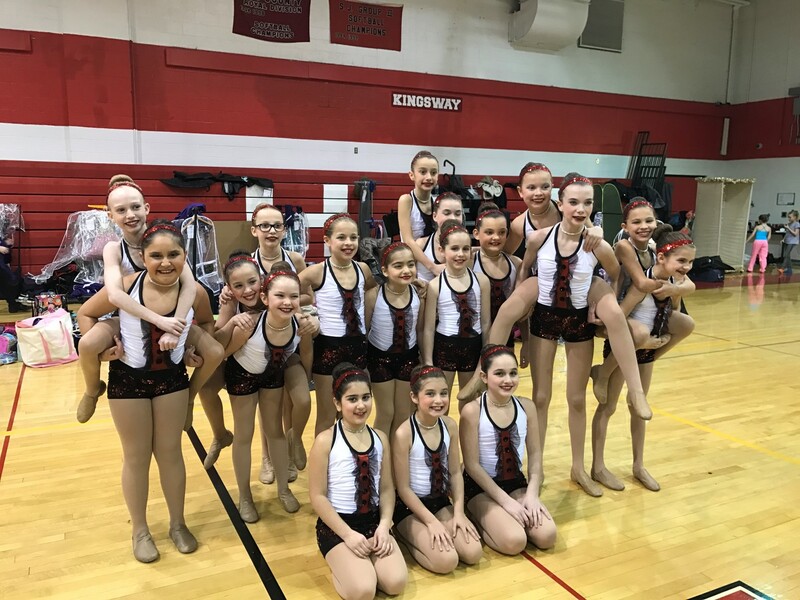 This was our 4th and final competition of the season. 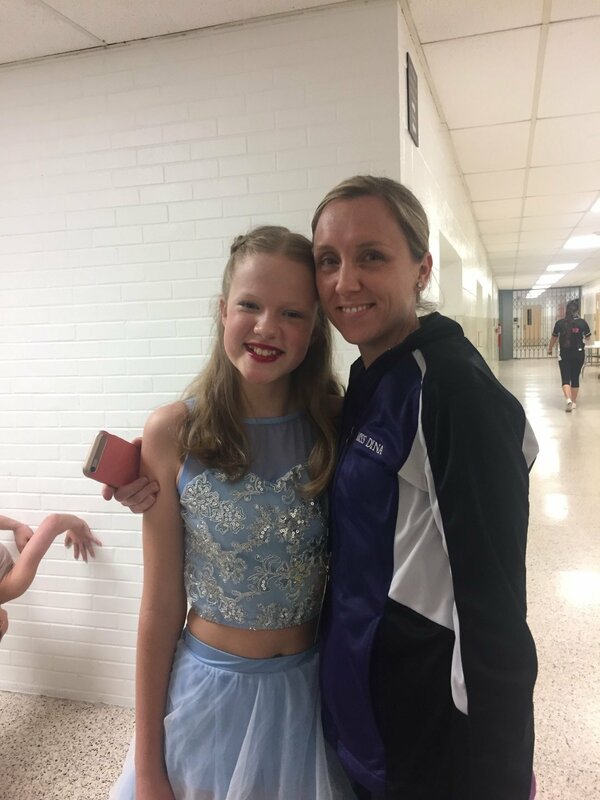 It went way too fast this year! 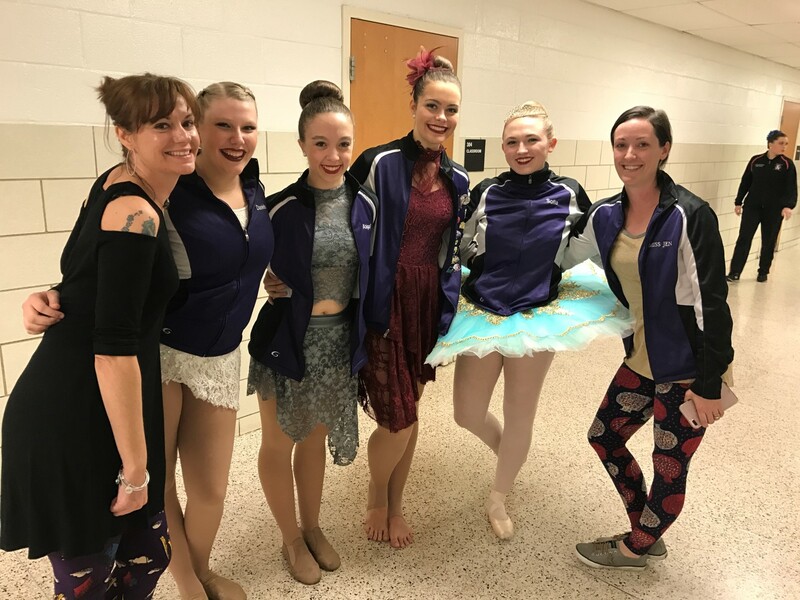 We are sad to see the season come to an end but we are so proud of our dancers! 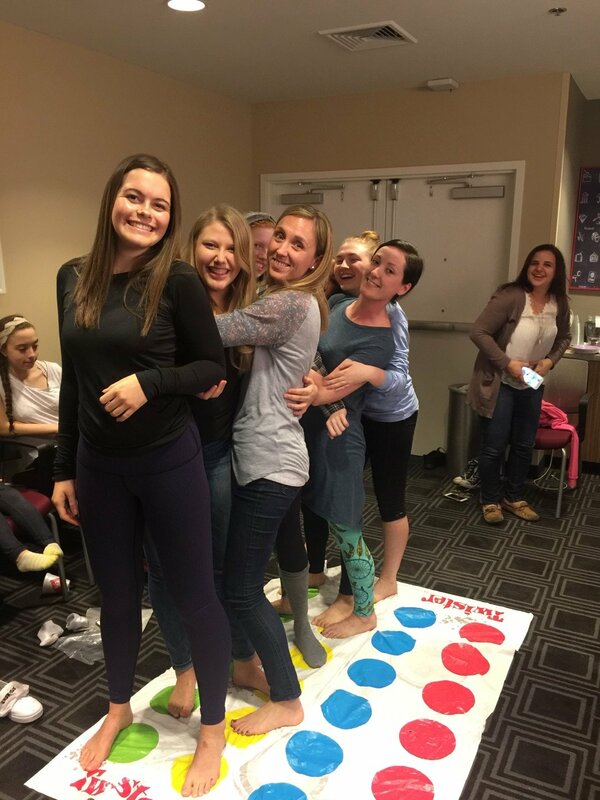 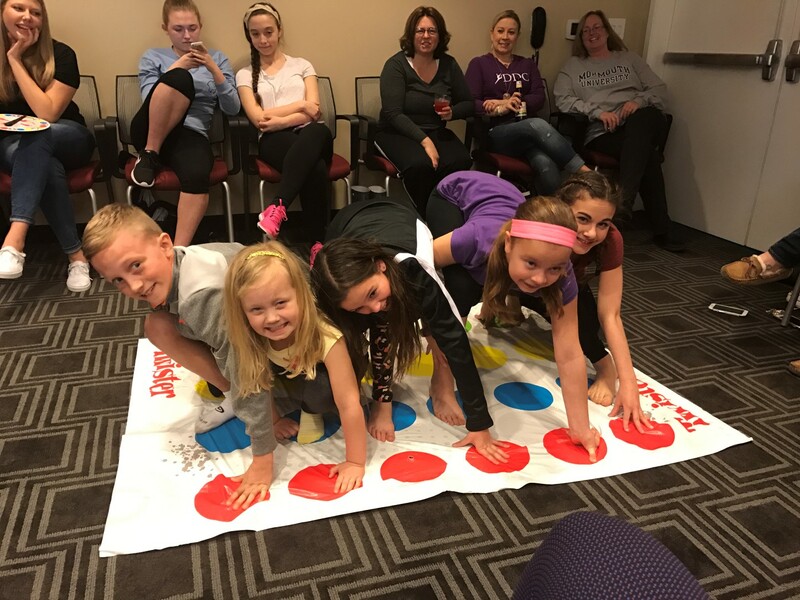 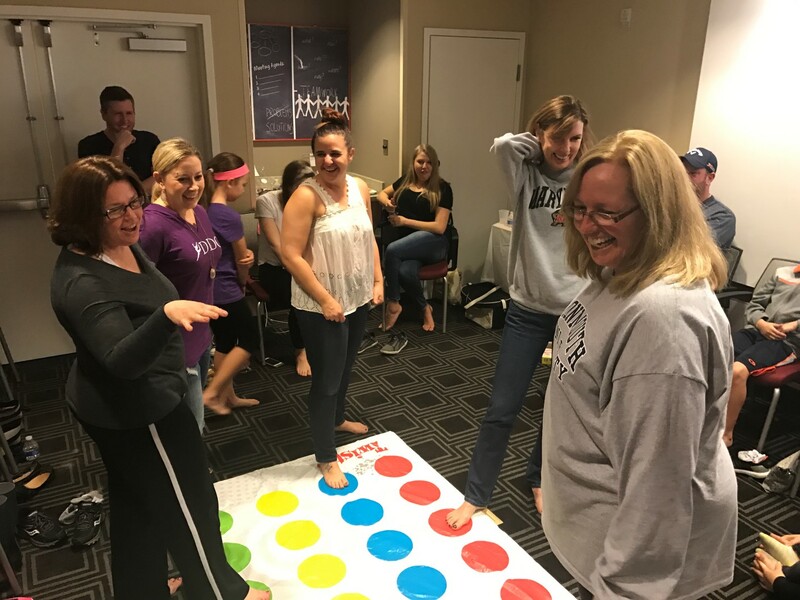 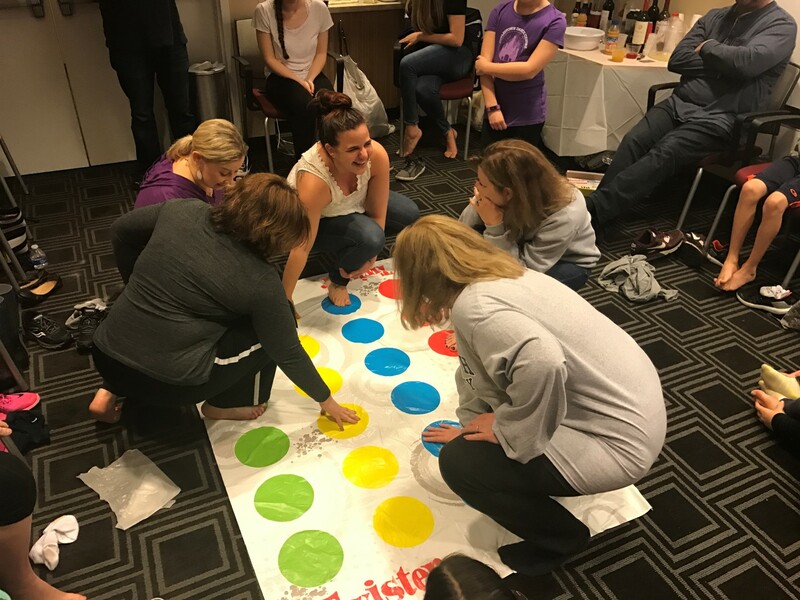 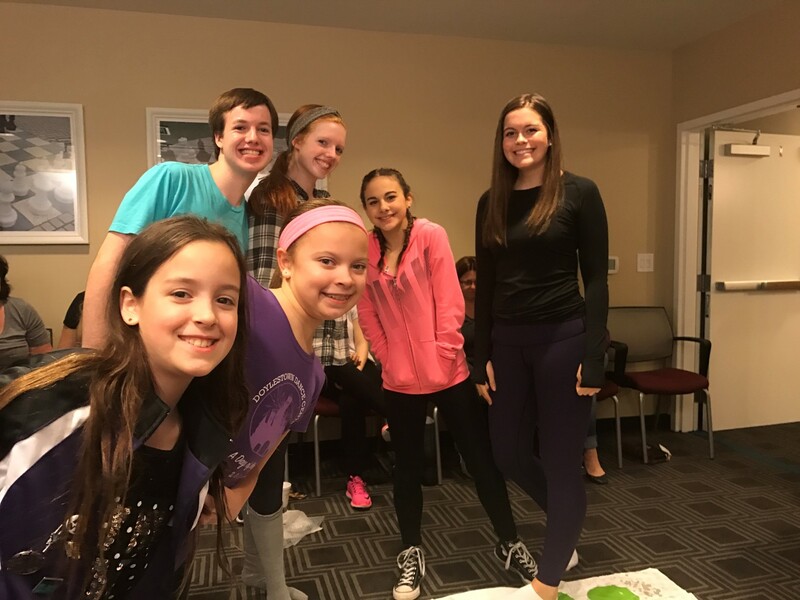 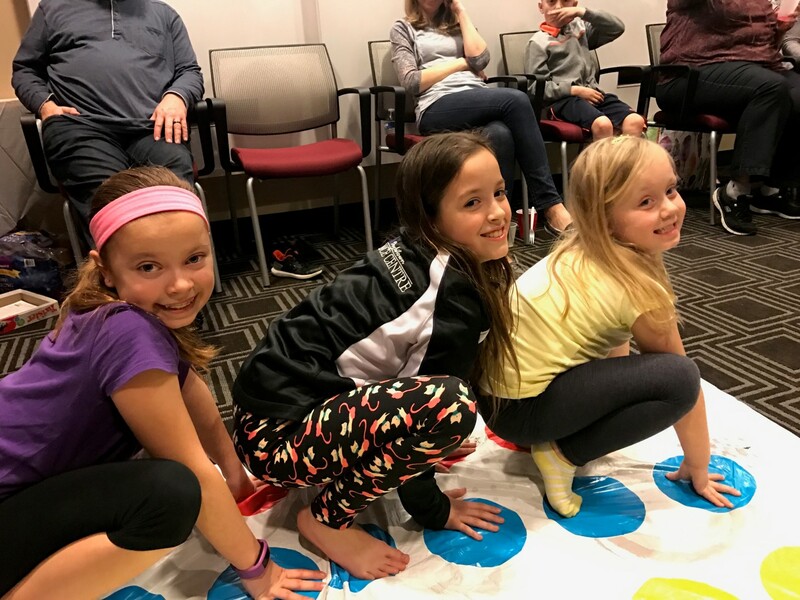 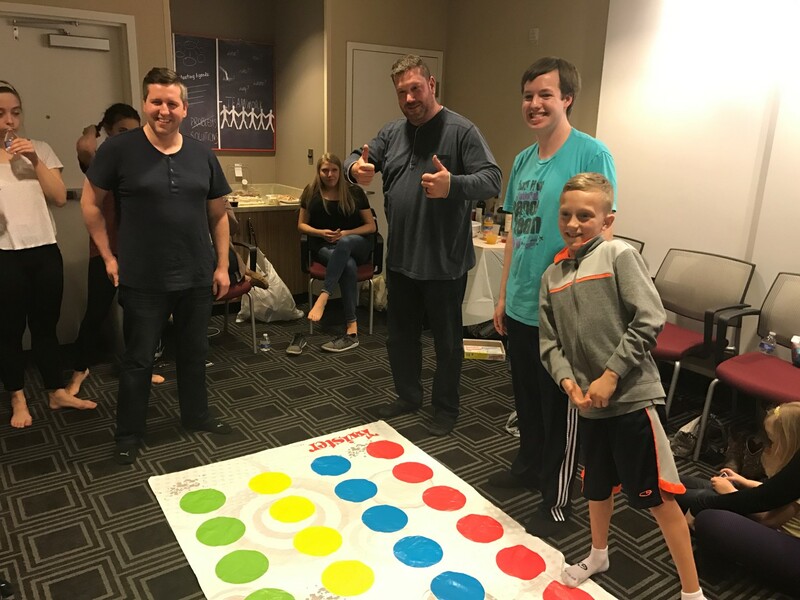 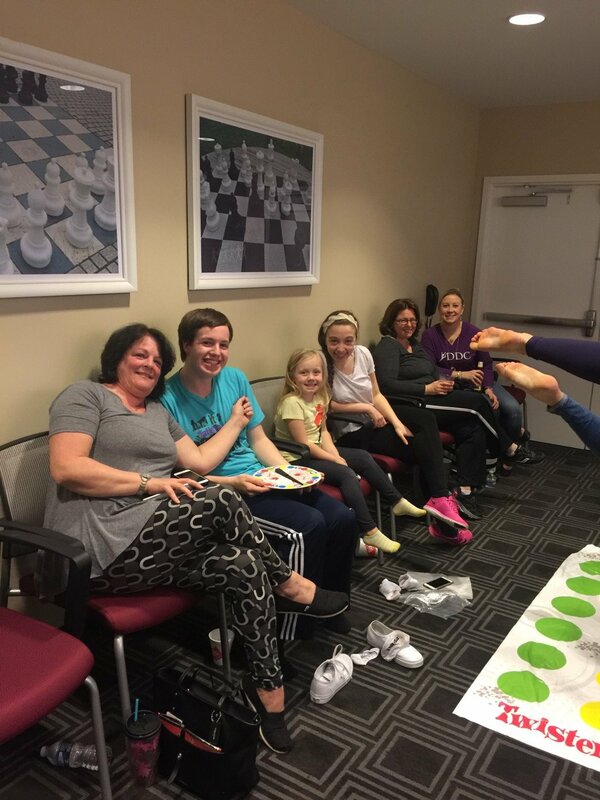 We kicked off this weekend with a little hotel party complete with yummy food, a DDC cake and some hysterical rounds of Twister. 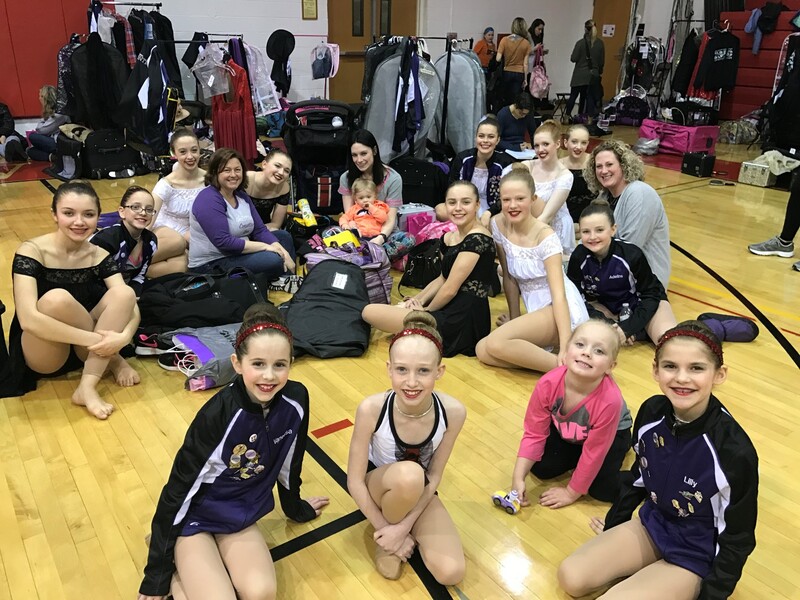 Then we were up bright and early Sunday morning for a full day of dancing. 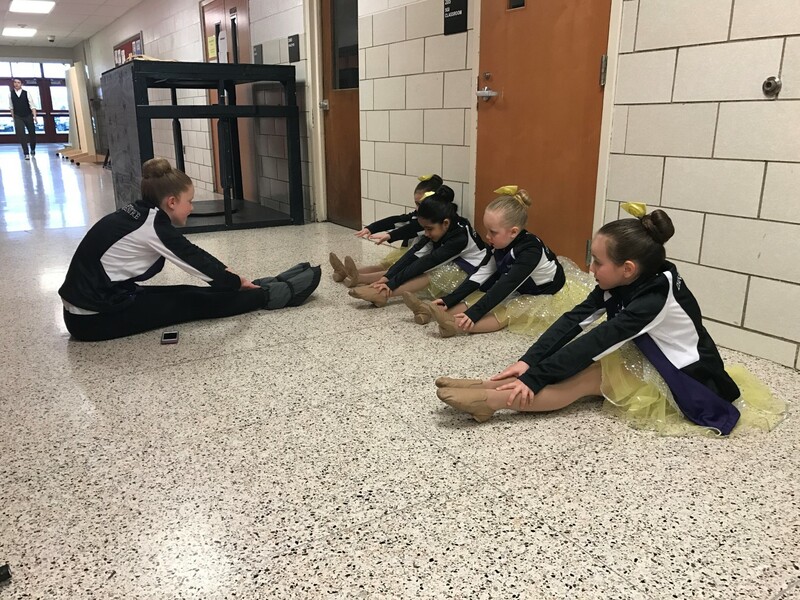 Our groups went first, followed by solos. 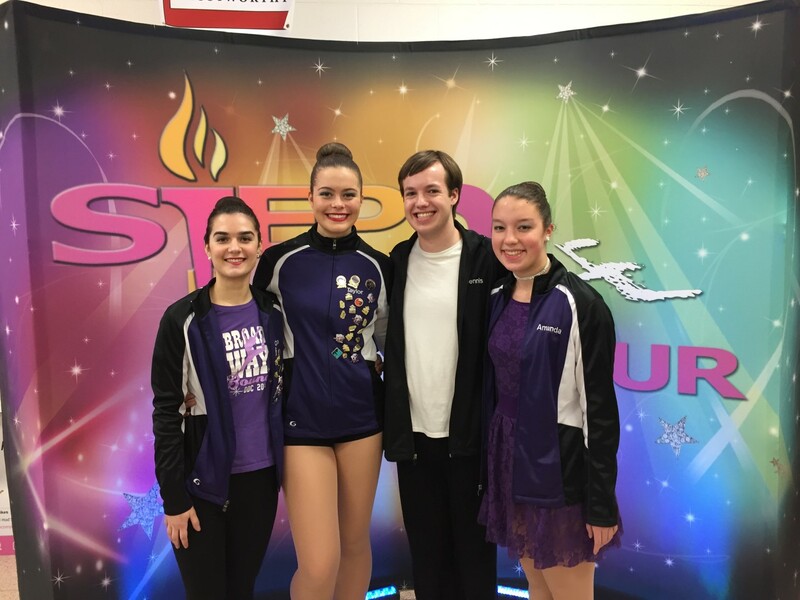 We celebrated two birthdays and watched four of our seniors compete at regionals for the last time. 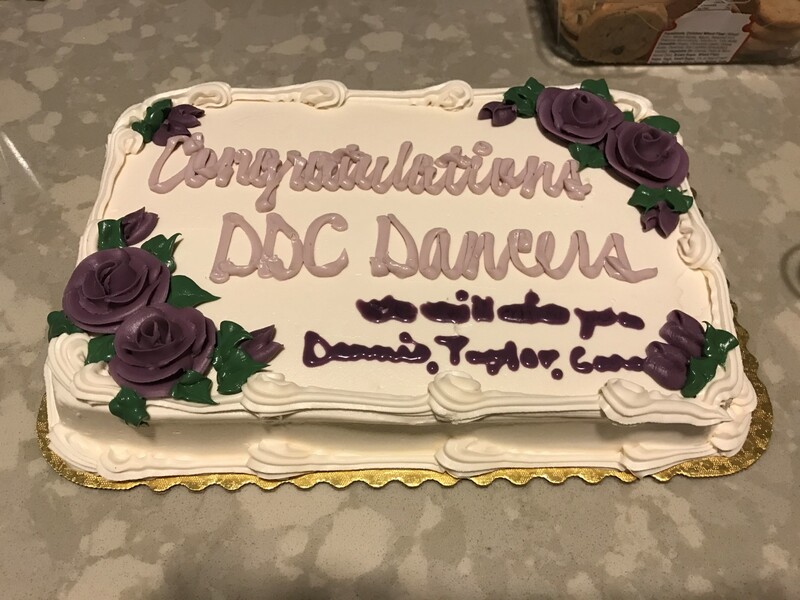 Cara, Taylor, Amanda and Dennis, thank you for your dedication to DDC and for sharing your passion of dance with us. 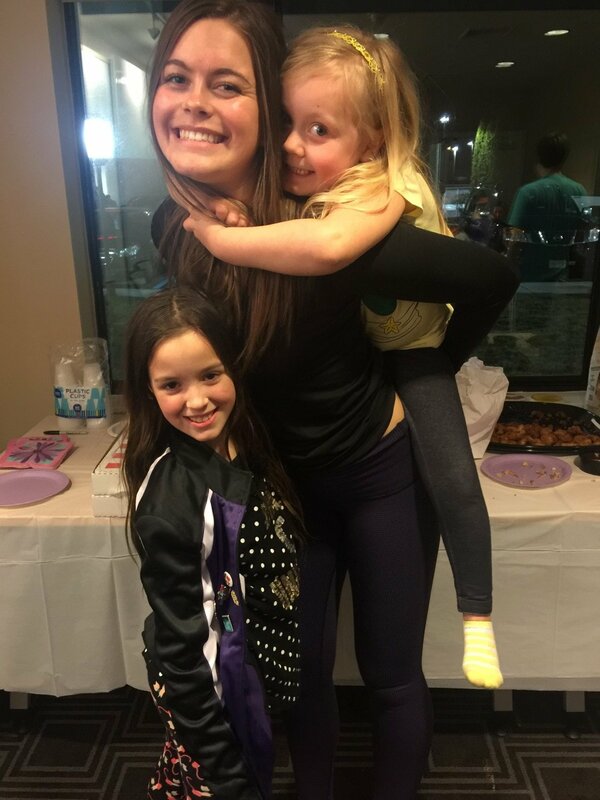 We have loved watching you grow this season! 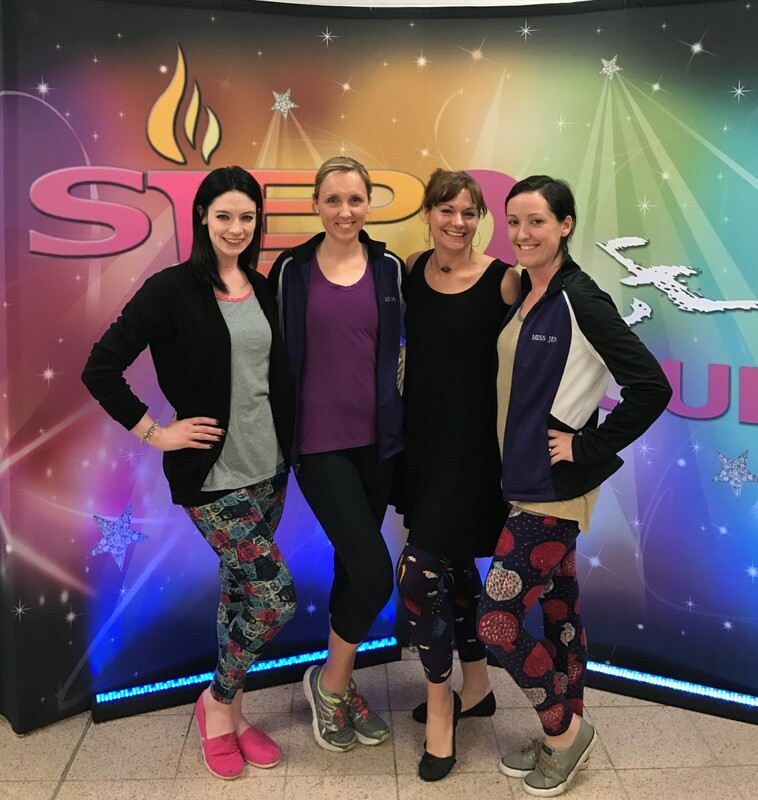 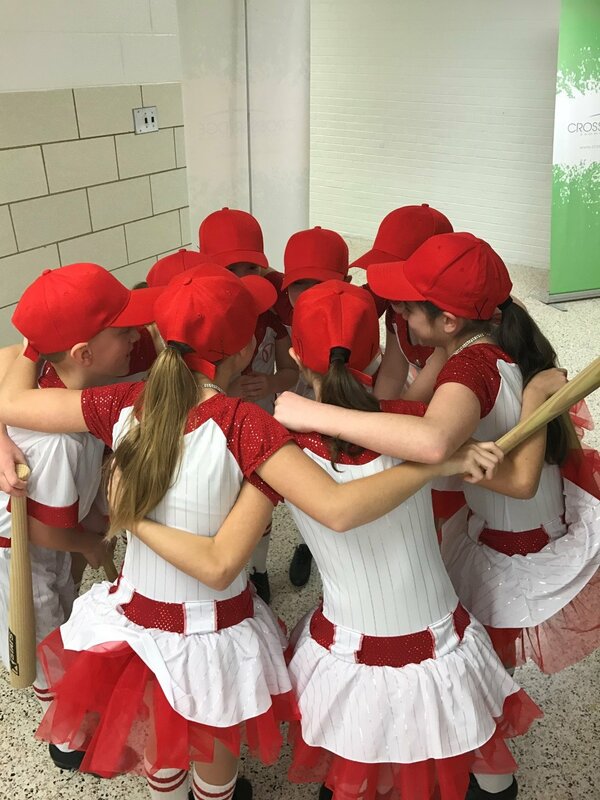 A special thank you to our teachers- Miss Jen, Miss Amanda, Miss Janice, Miss Rebecca, Miss Liz and Miss Amy for pouring your hearts into these routines. 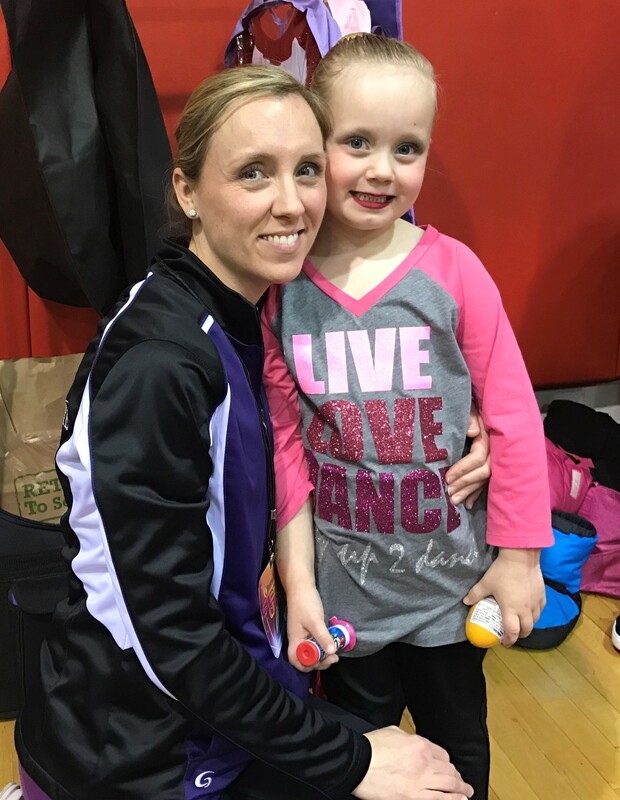 Thank you to our family and friends who came out to support us this season. 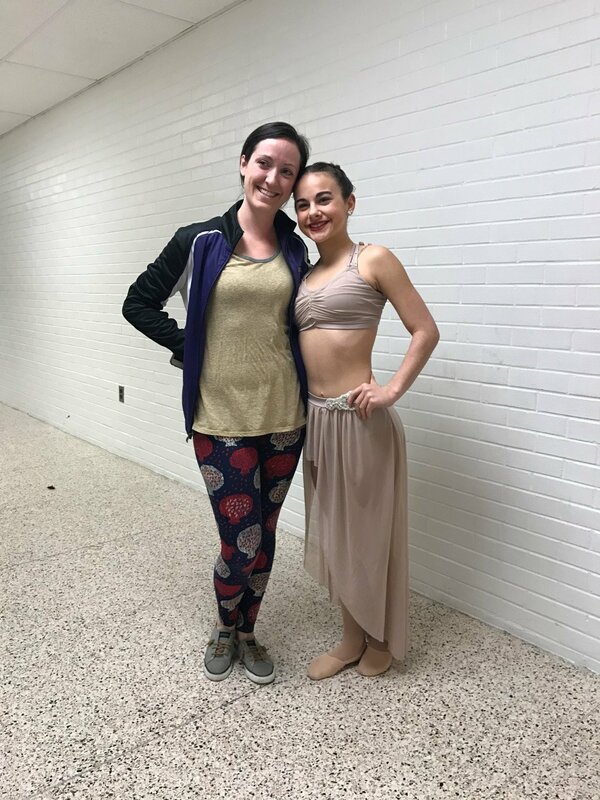 On Sunday we had a special visit from one of our former dancers and her mom. 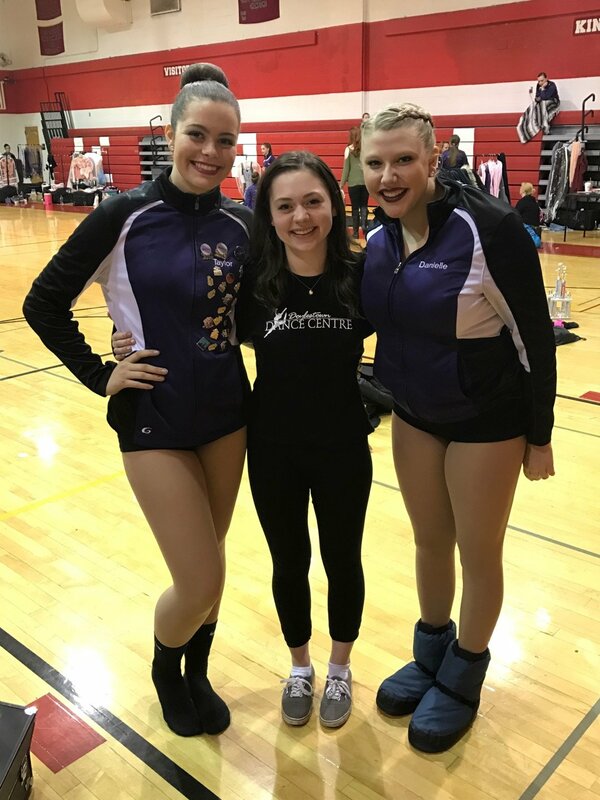 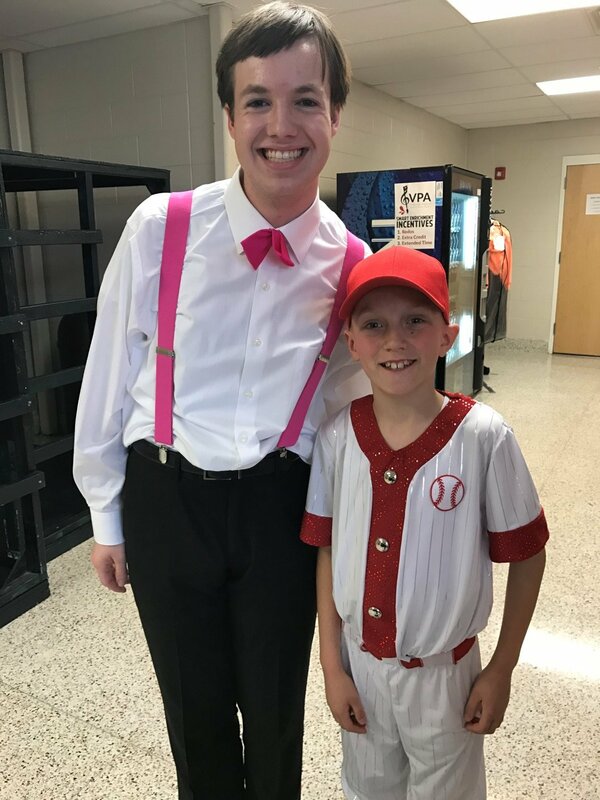 We love it when dance friends come back to cheer us on! 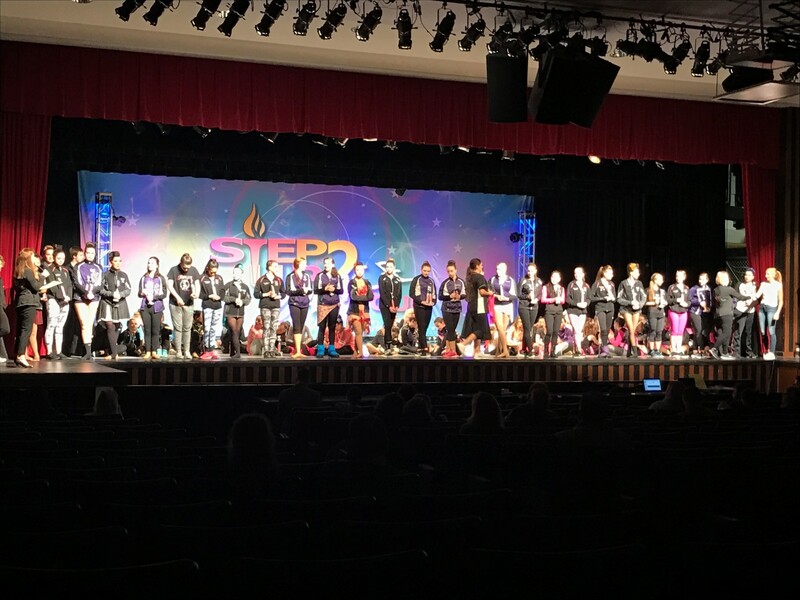 We walked away with high golds, double golds, platinums, high platinums and one double platinum! 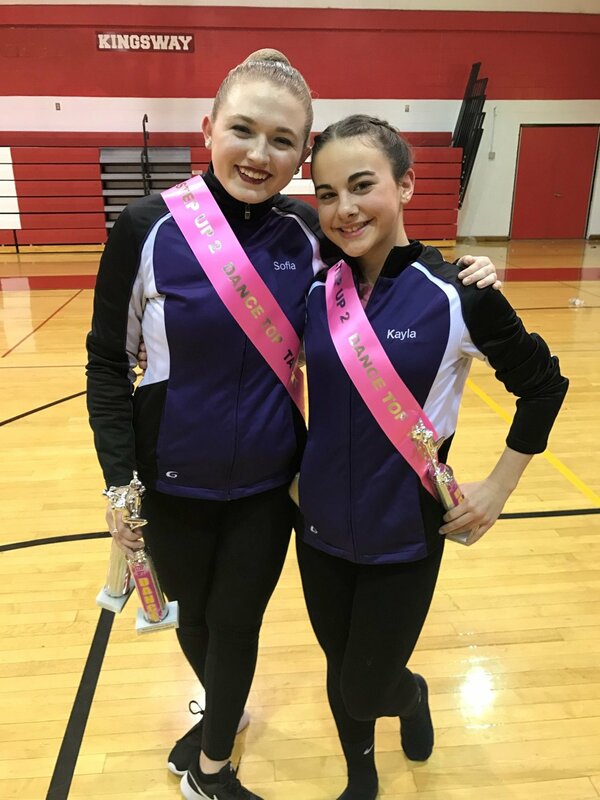 Two of our soloists were presented with sashes as their solos were in the top 10 overall high scores! 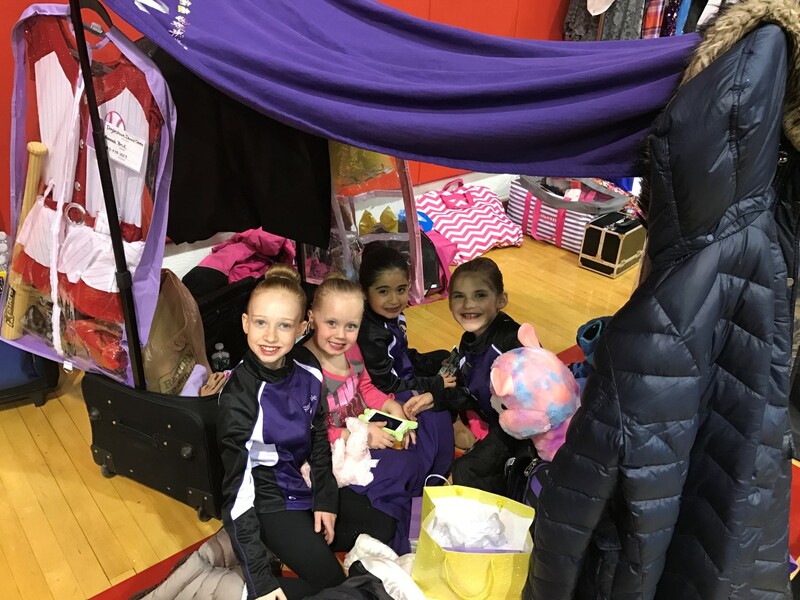 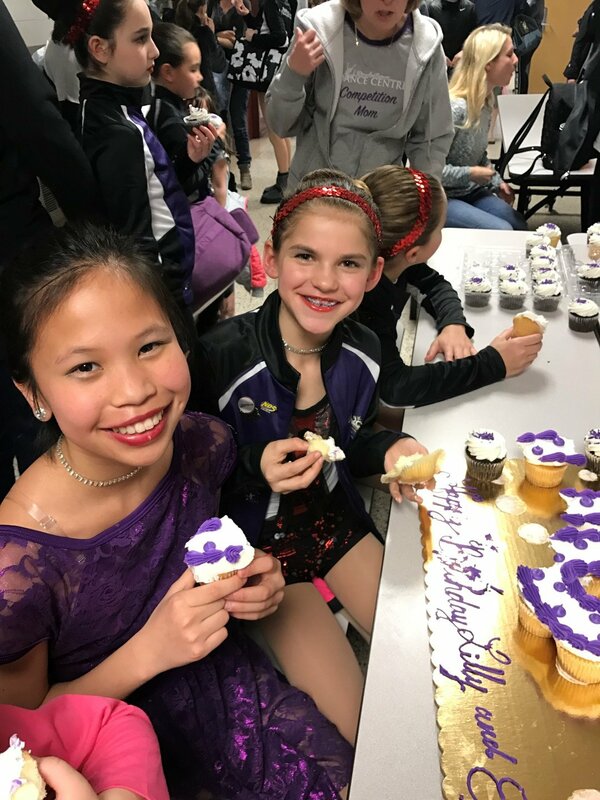 And this competition recognized DDC for bringing a wide range of age-appropriate styles to the competition and for presenting a solid technical foundation. 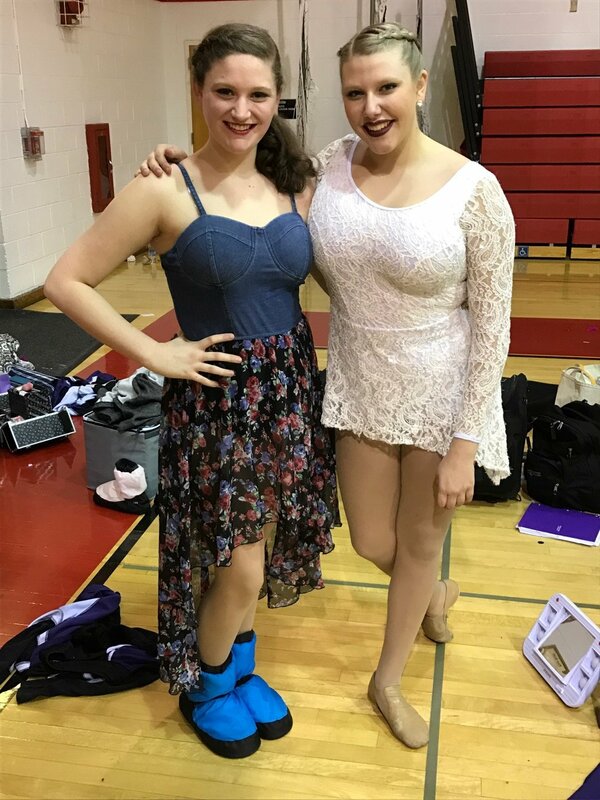 We definitely ended on a high note. 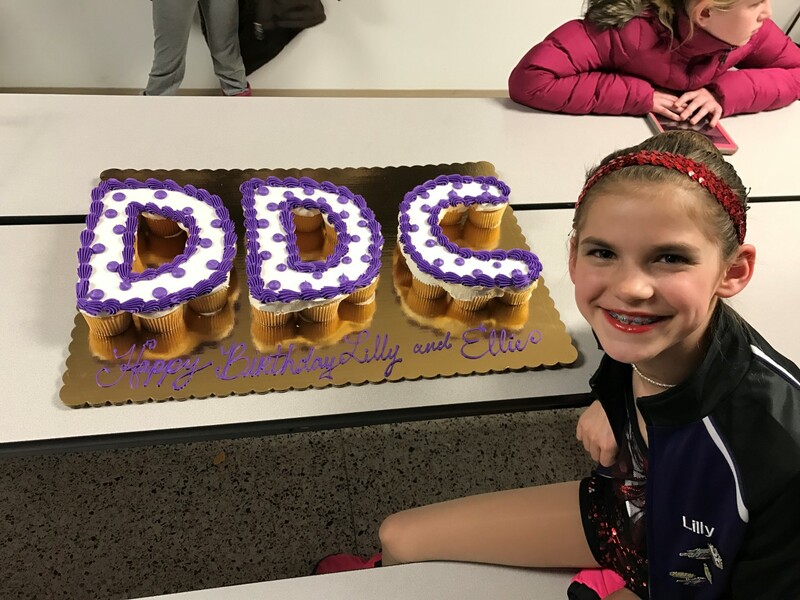 Great job, DDC! 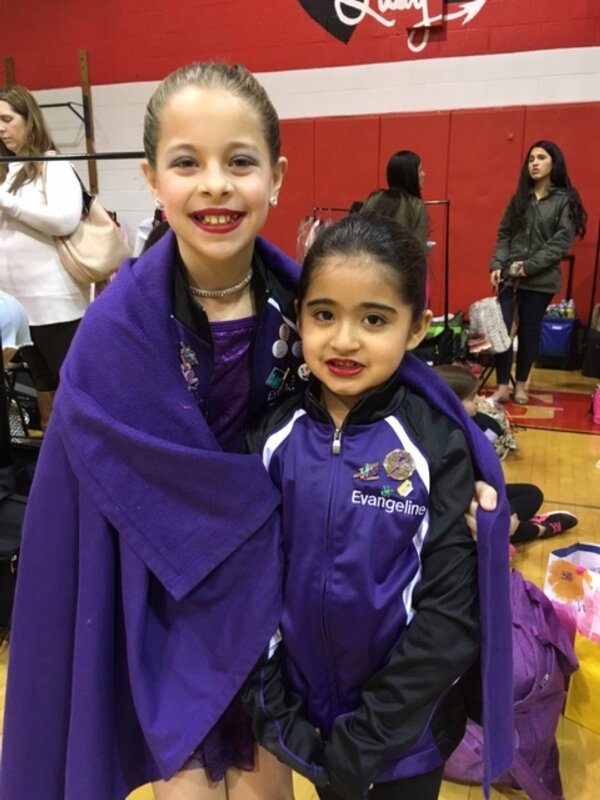 “Dream“- Elizabeth’s Modern Jr Teen Competitive Solo – DOUBLE GOLD! 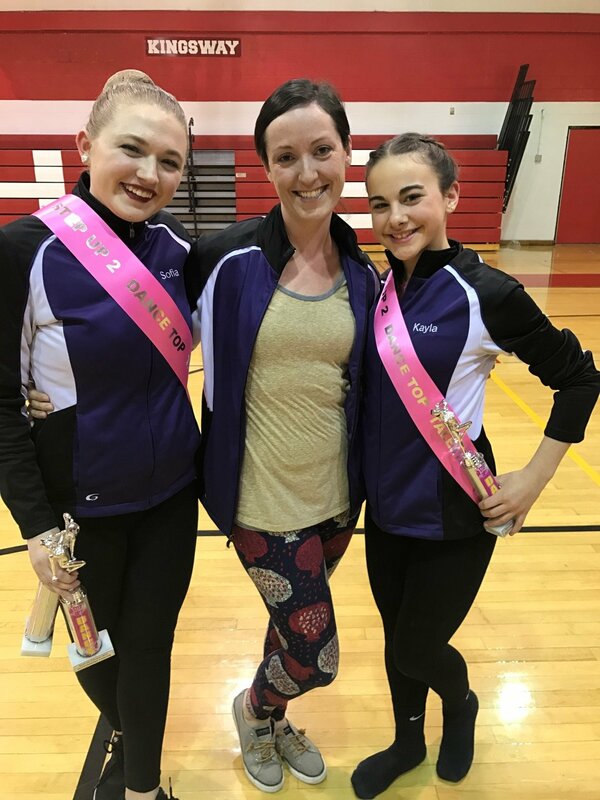 “Tears of an Angel“- Kayla’s Lyrical Jr Teen Competitive Solo – 1st Place DOUBLE PLATINUM and 2nd Place Overall High Score for all Jr Teen Soloists! 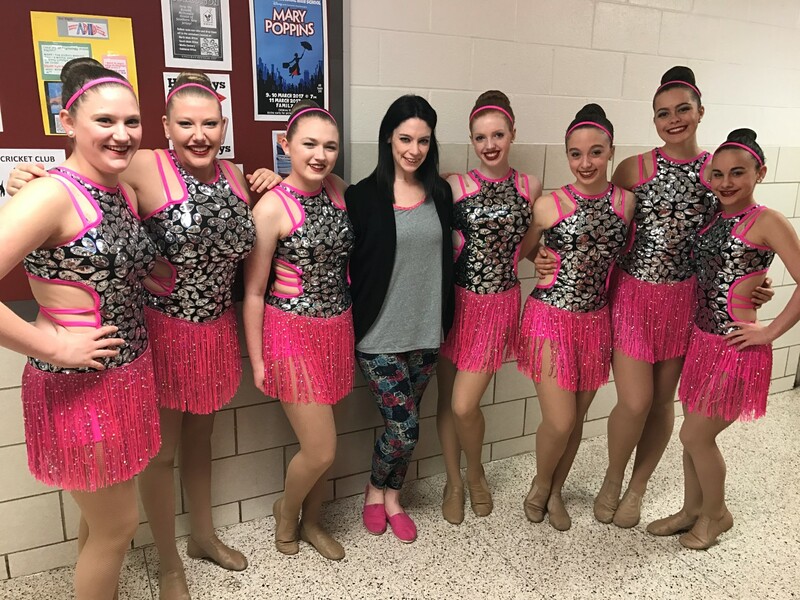 “Jealous“- Ashley’s Lyrical Teen Competitive Solo – 3rd Place PLATINUM! 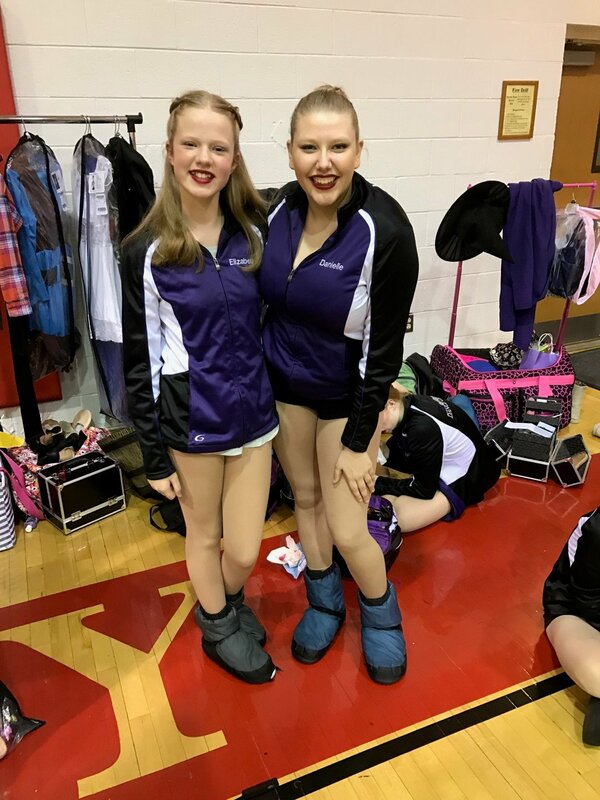 “Wild Horses“- Taylor’s Contemporary Teen Competitive Solo – 1st Place HIGH GOLD! 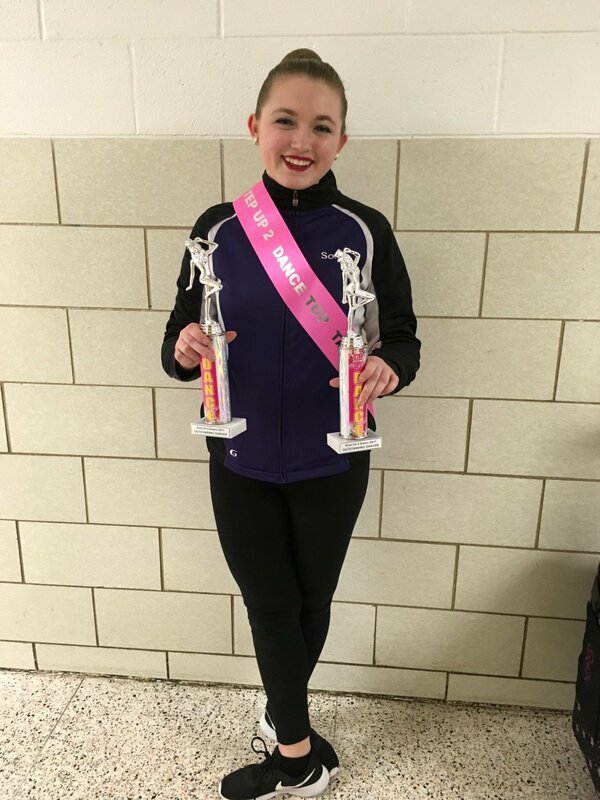 “Demons“- Cara’s Contemporary Teen Competitive Solo- 3rd Place HIGH GOLD! 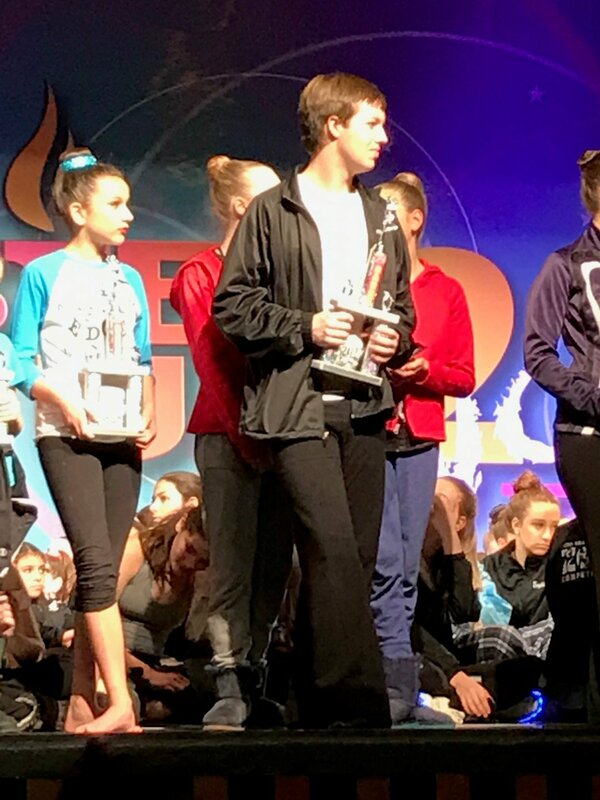 “Man in the Mirror“- Dennis’ Tap Teen Competitive Solo- 1st Place DOUBLE GOLD! 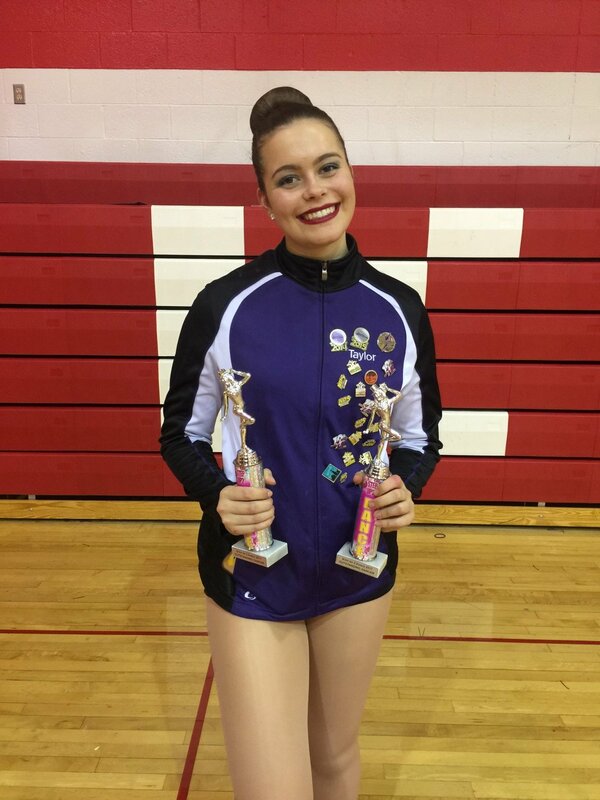 “Piece by Piece“- Taylor’s Lyrical Senior Competitive Solo- PLATINUM! 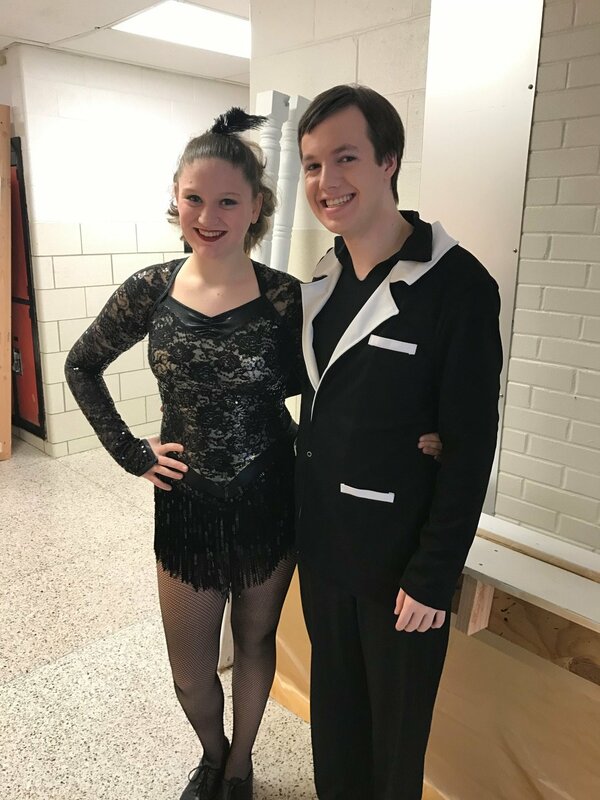 “Are you Gonna Be My Girl“- Dennis and Melodie’s Tap Teen Competitive Duet- PLATINUM and 7th Place Overall High Score for all Duets/Trios! 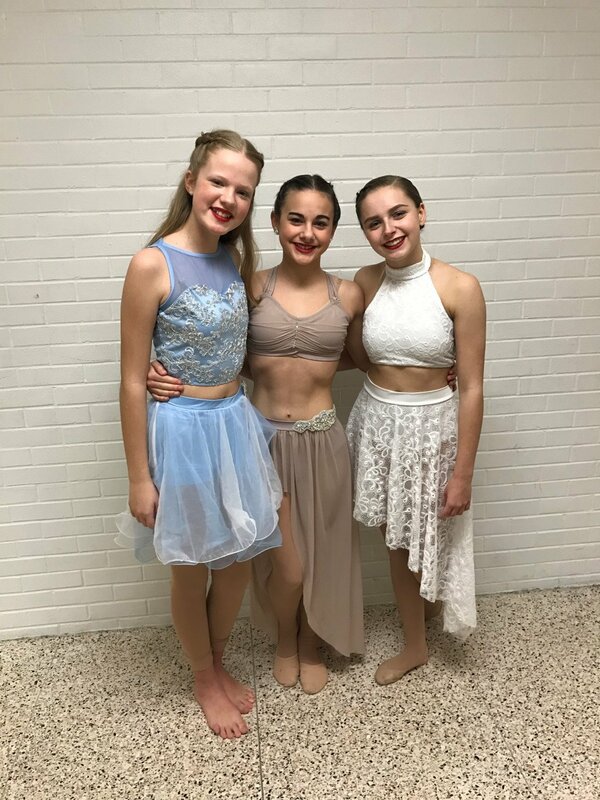 “Cinderella Variation“- Sofie’s Ballet Teen Competitive Solo-DOUBLE GOLD! 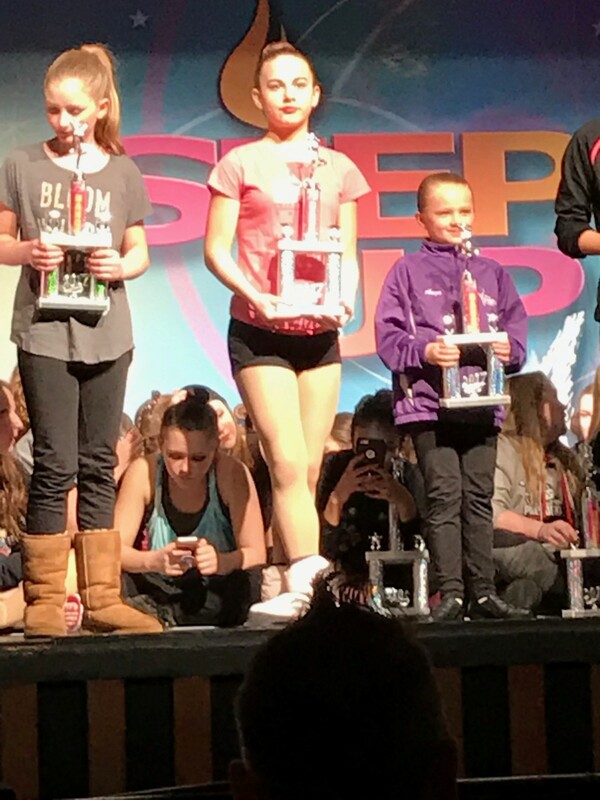 “Fast Car“- Abigail’s Tap Teen Competitive Solo- DOUBLE GOLD! 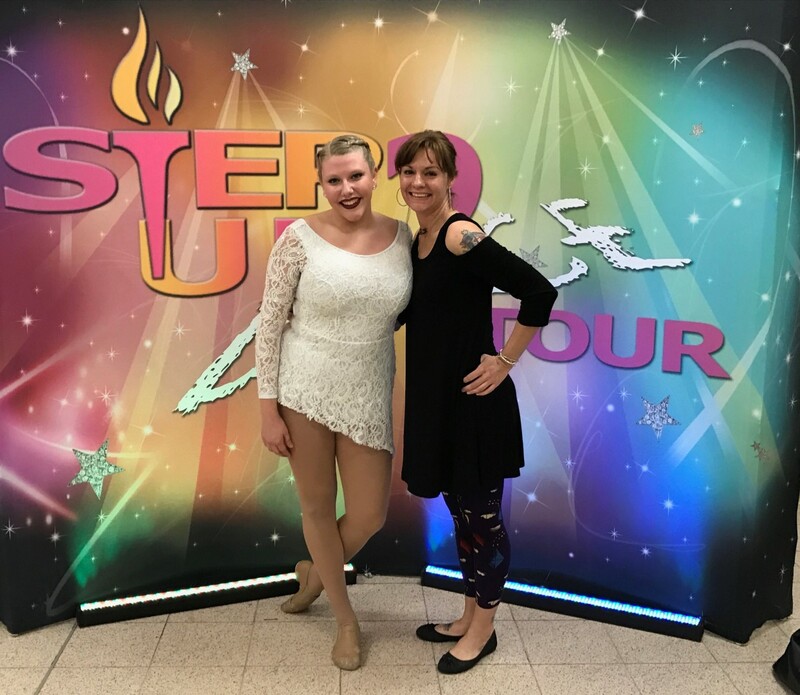 “Stay With Me“- Danielle’s Lyrical Teen Competitive Solo- 5th Place DOUBLE GOLD! 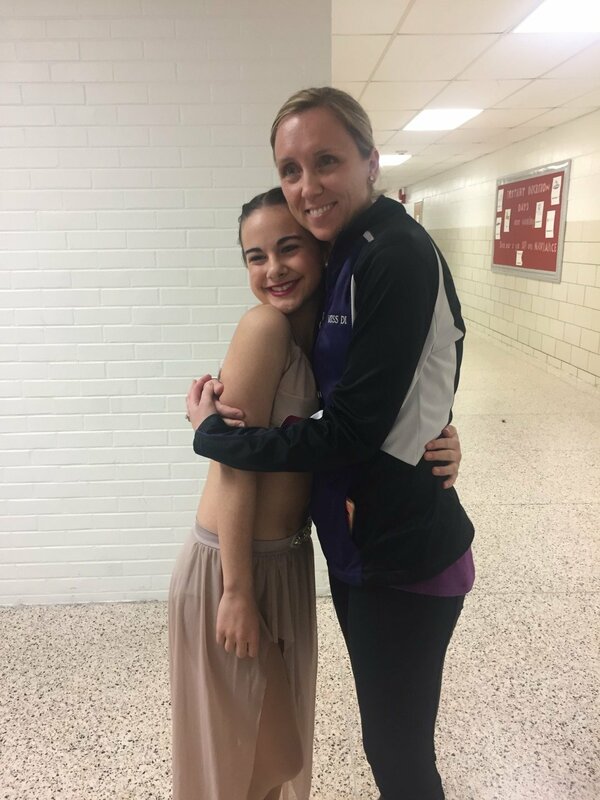 “Somewhere Only We Know“- Abigail’s Lyrical Teen Competitive Solo- 3rd Place PLATINUM! 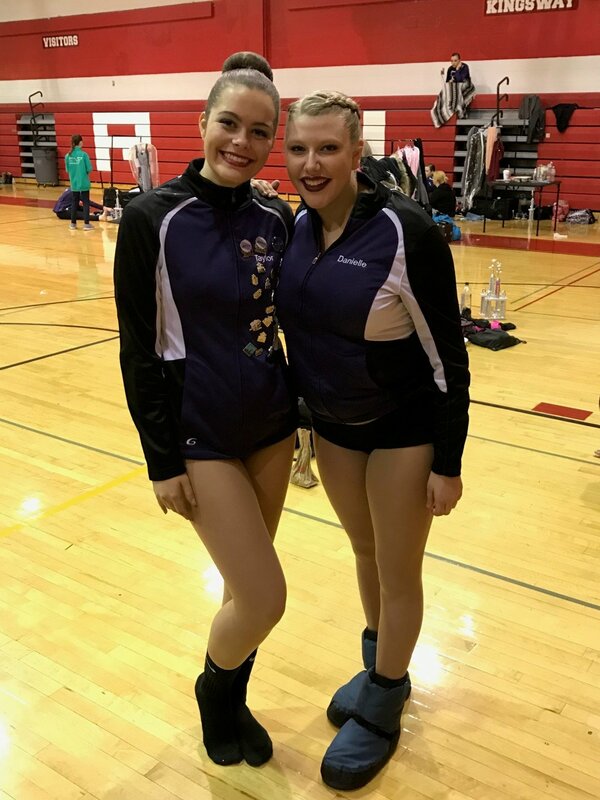 “Just Be“- Sofie’s Lyrical Teen Competitive Solo- 2nd Place PLATINUM and 8th Place Overall High Score for all Teen Soloists! 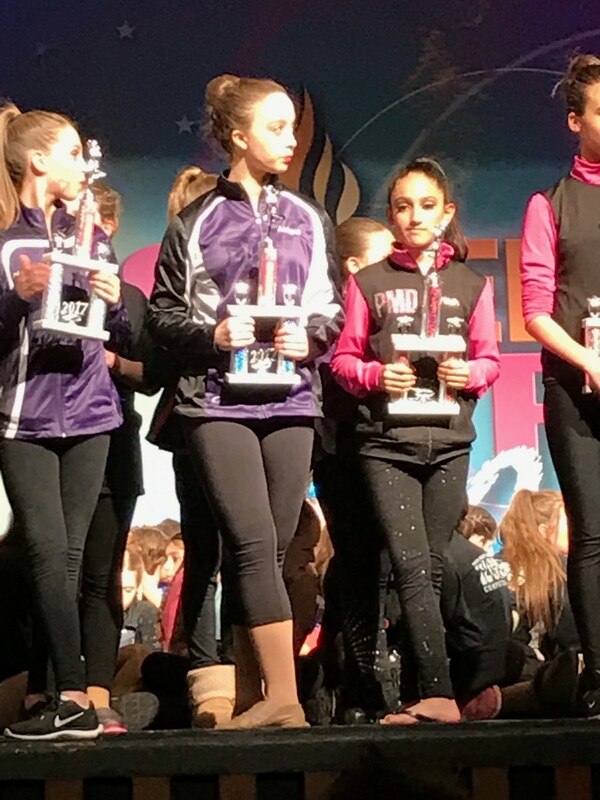 “Behind Blue Eyes“- Melodie’s Teen Modern Solo- 2nd Place PLATINUM! 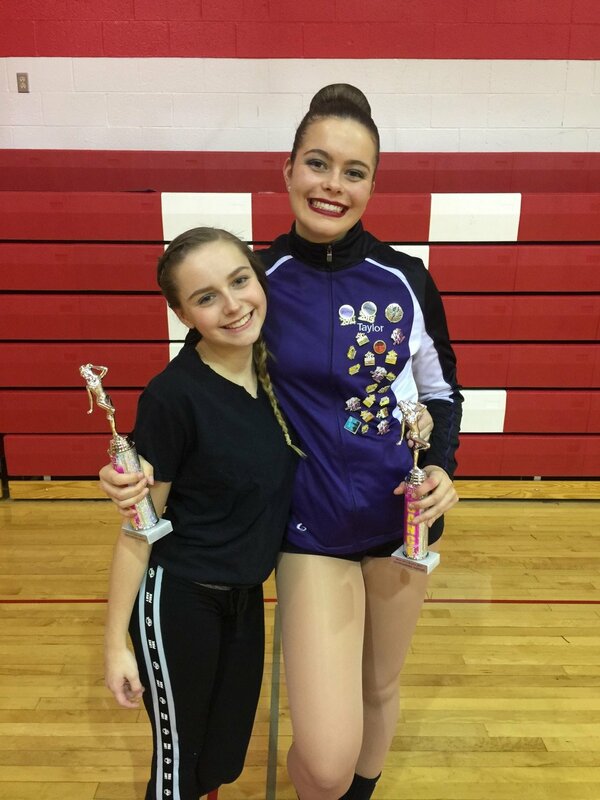 “Nothing Compares to You“- Meghan’s Teen Contemporary Solo- 1st Place PLATINUM! 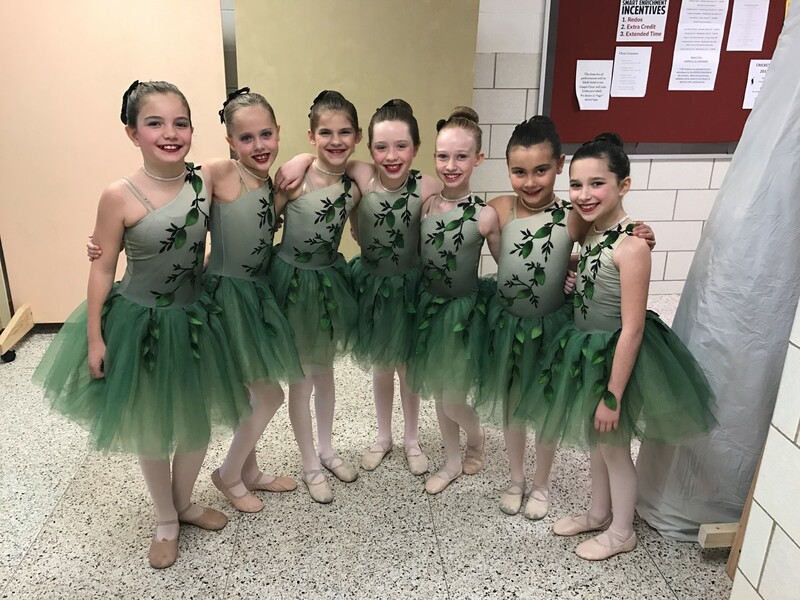 “Ivy“- Ballet Young Competitive Small Group- HIGH GOLD! 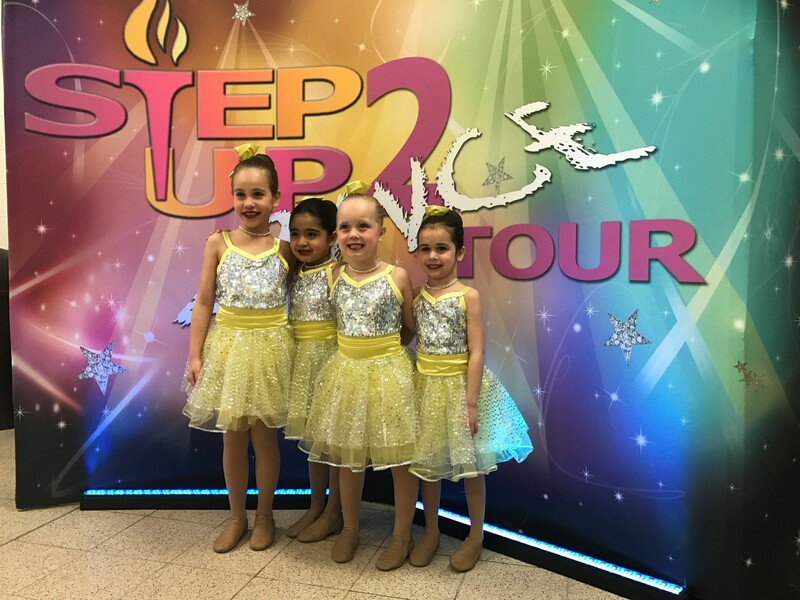 “Shoeless Joe“- Tap Young Competitive Small Group- DOUBLE GOLD! 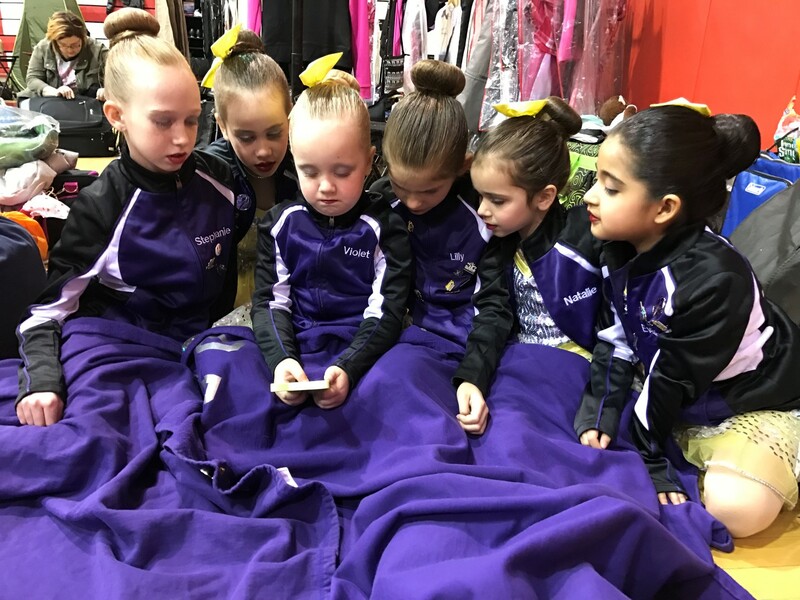 “I <3 NY“- Jazz Young Competitive Class- HIGH GOLD! 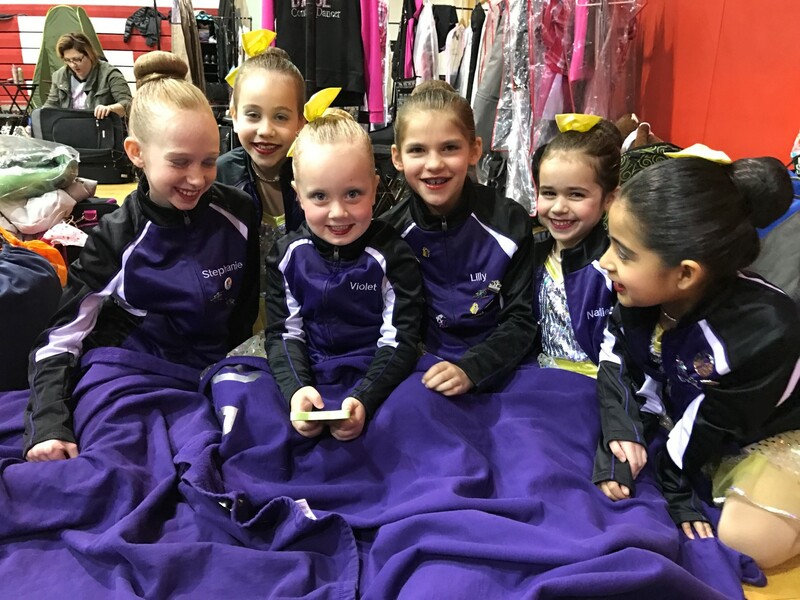 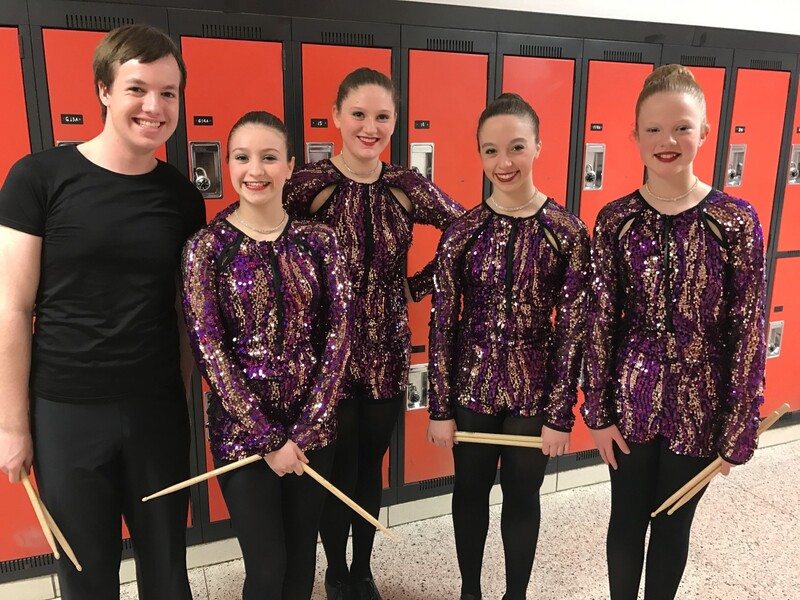 “Buttercups“- Jazz Little Recreational Small Group- DOUBLE GOLD! 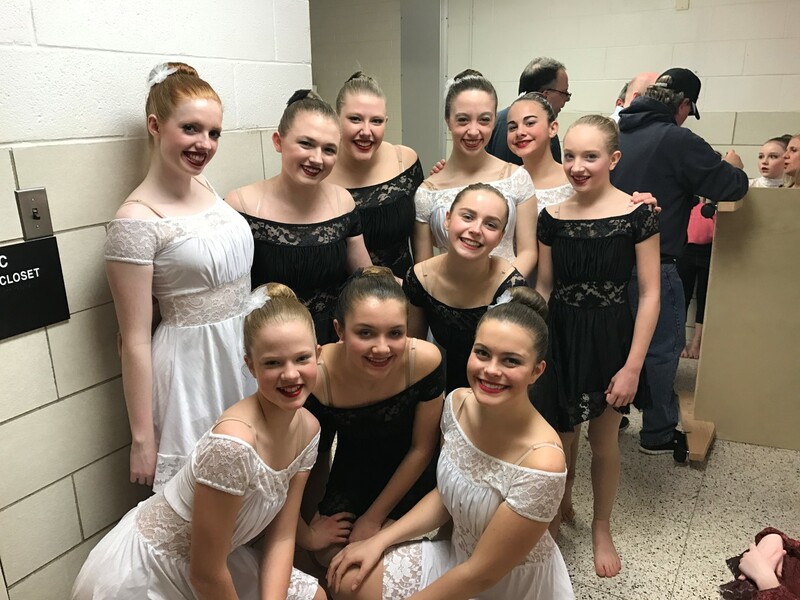 “Never Alone“- Lyrical Jr Teen Competitive Small Group- HIGH GOLD! 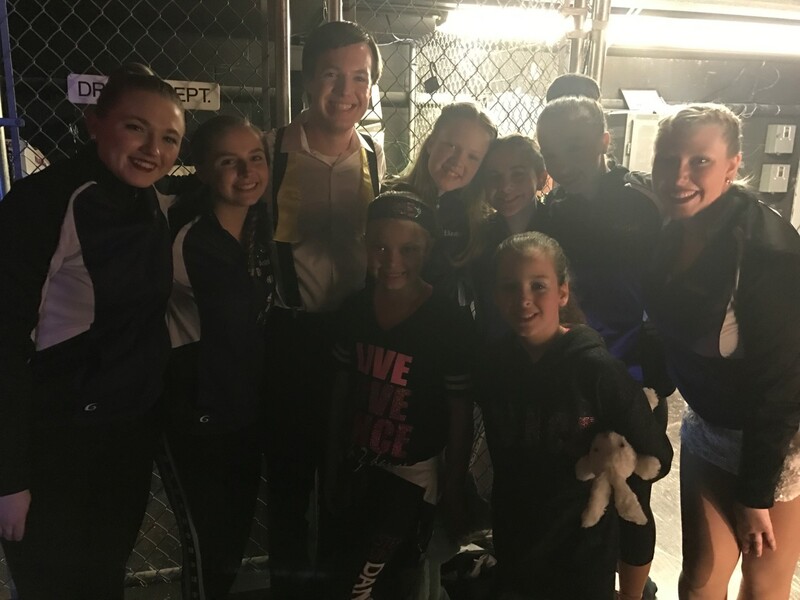 “Dark Beat“- Tap Jr Teen Competitive Small Group- 1st Place HIGH PLATINUM and 15th Overall High Score for all groups! 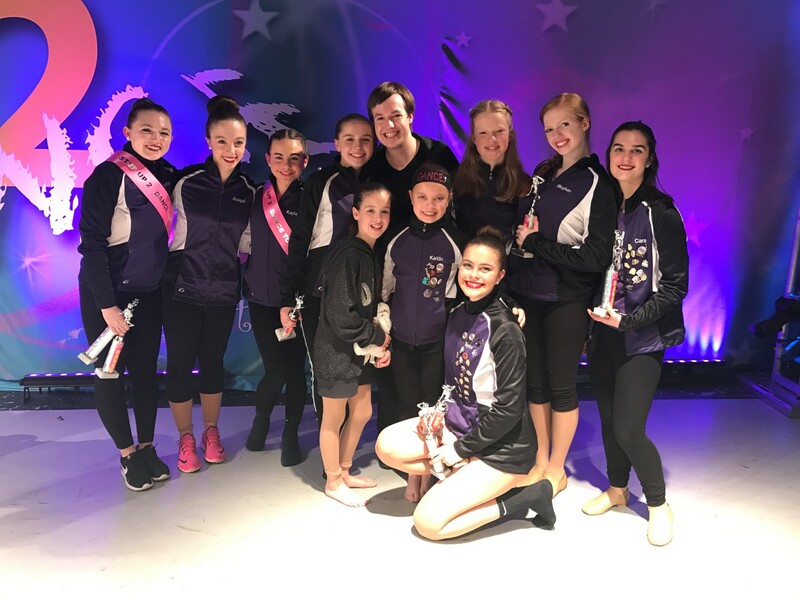 “So Are You to Me“- Lyrical Jr Teen Competitive Small Group- 1st Place HIGH PLATINUM and 10th Place Overall High Score for all groups! 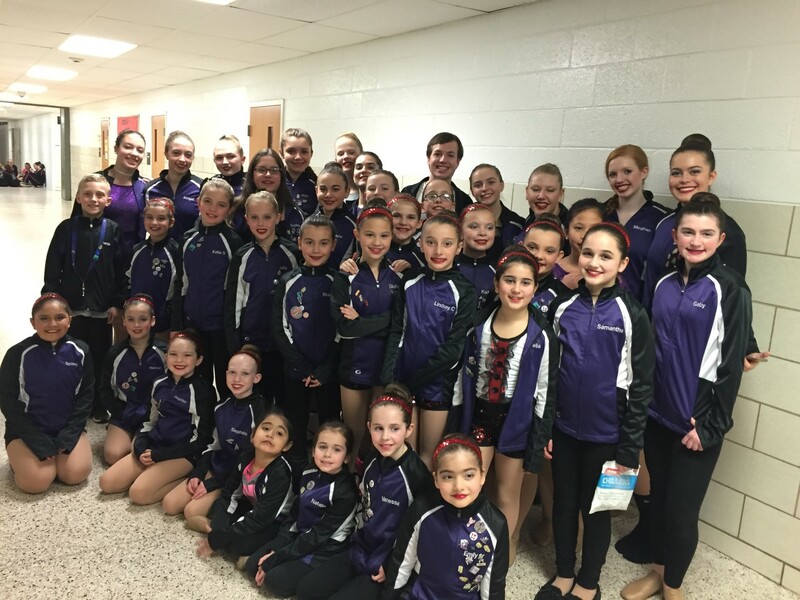 “Pretty Pixies“- Ballet Teen Competitive Line- 1st Place PLATINUM and 5th Place Overall High Score for all lines! 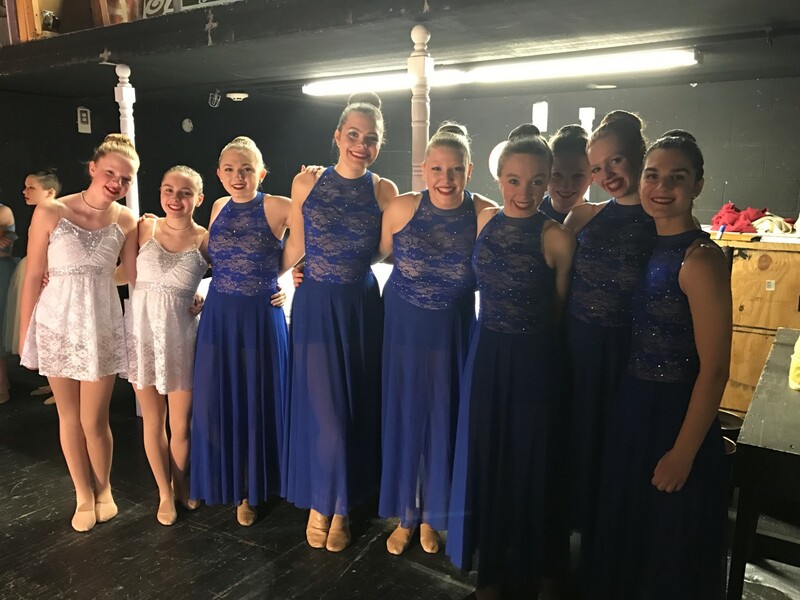 “Let It Be“- Modern Teen Competitive Line- 1st PLATINUM! 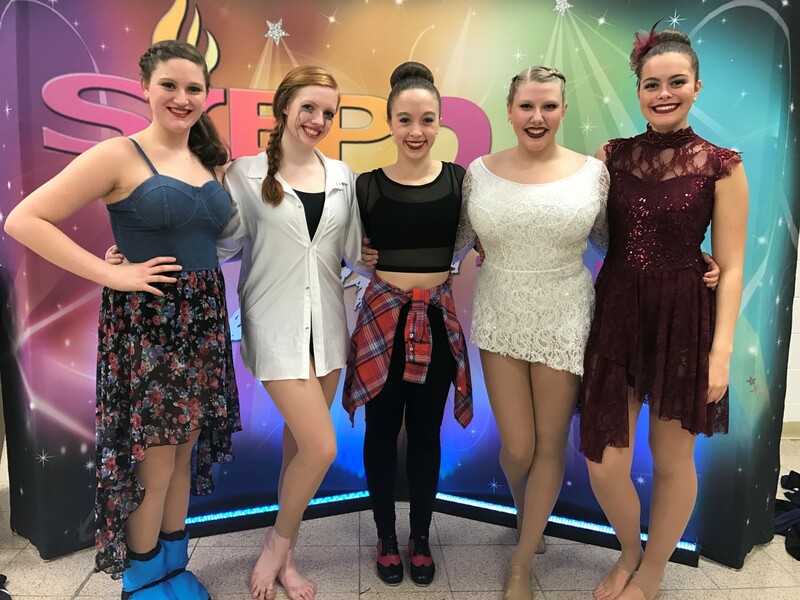 “Geek In Pink“- Tap Teen Competitive Small Group- DOUBLE GOLD! 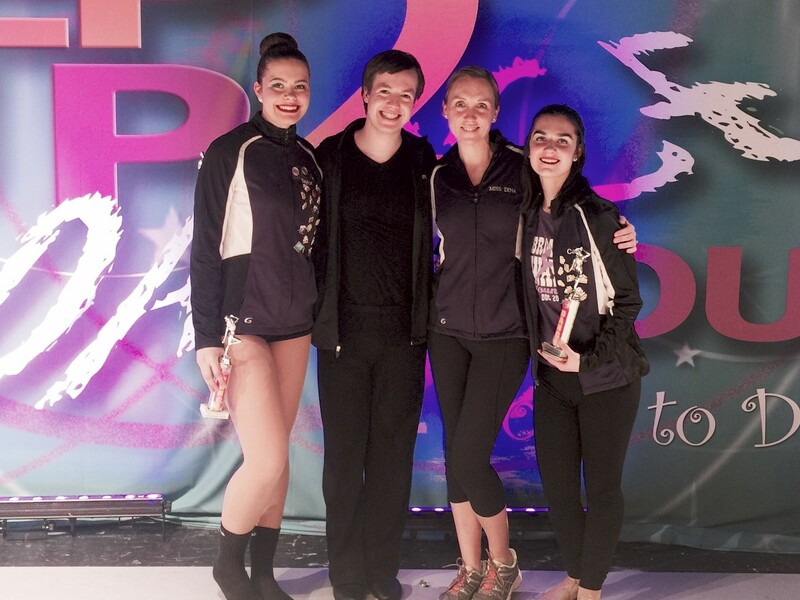 “Woop Woop“- Jazz Teen Competitive Small Group- PLATINUM and 18th Place Overall High Score for all groups! 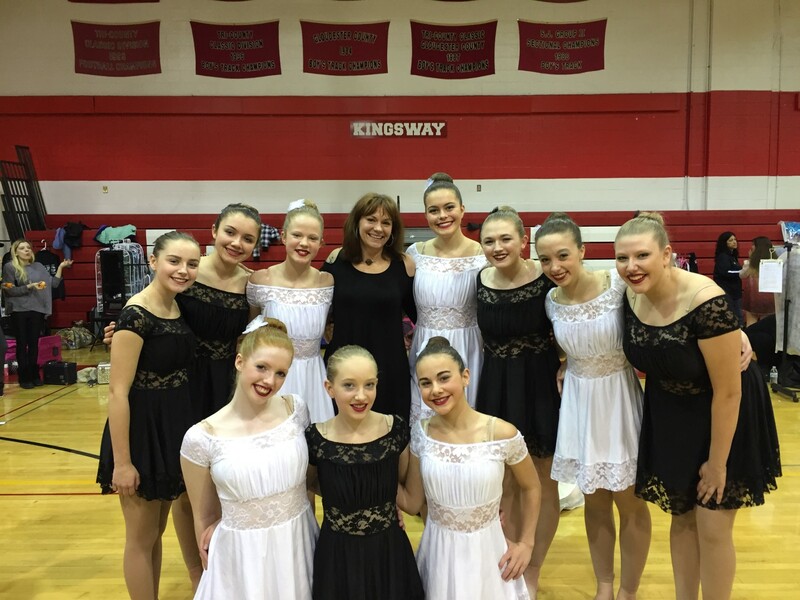 “Waves“- Lyrical Teen Competitive Small Group- 1st Place HIGH PLATINUM and 14th Overall High Score for all groups! 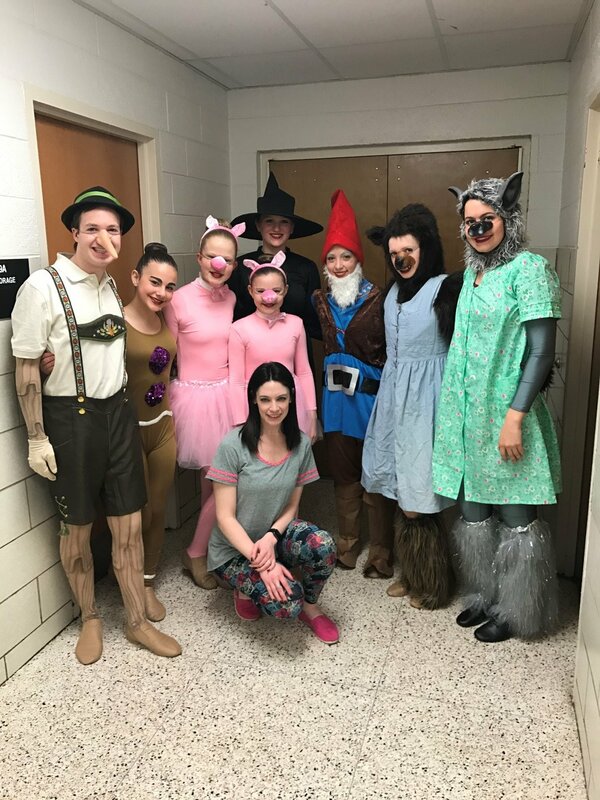 “Freak Flag“- Musical Theater Teen Competitive Small Group- 1st Place HIGH PLATINUM and 3rd Place Overall High Score for all groups!